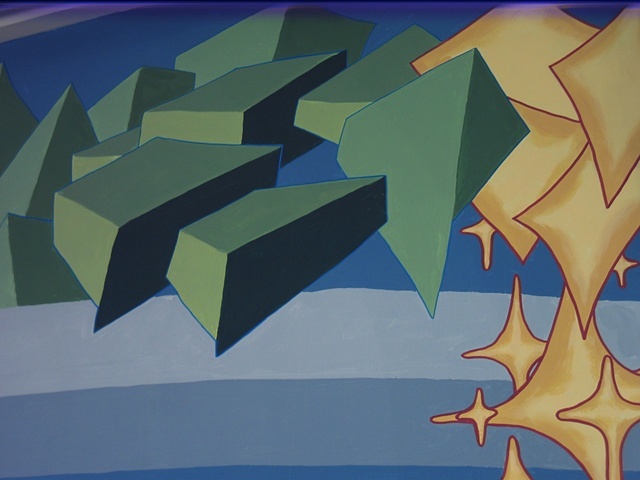 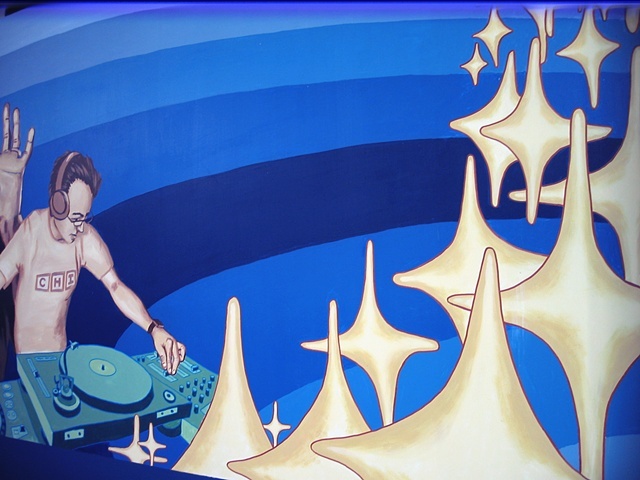 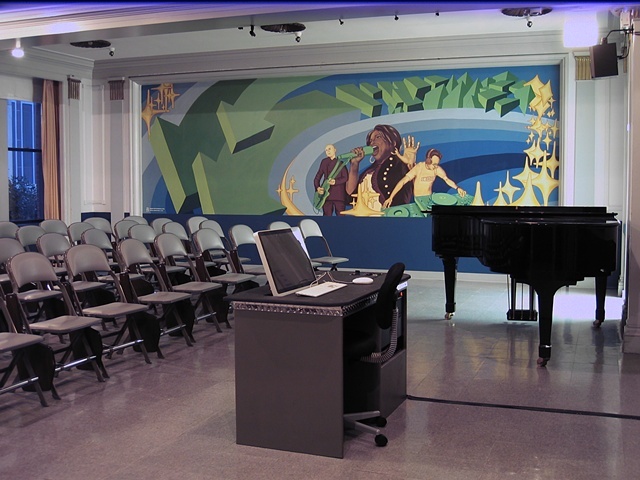 In the late summer of 2009, we were hired to paint a mural for one of the music classrooms at Columbia College Chicago. 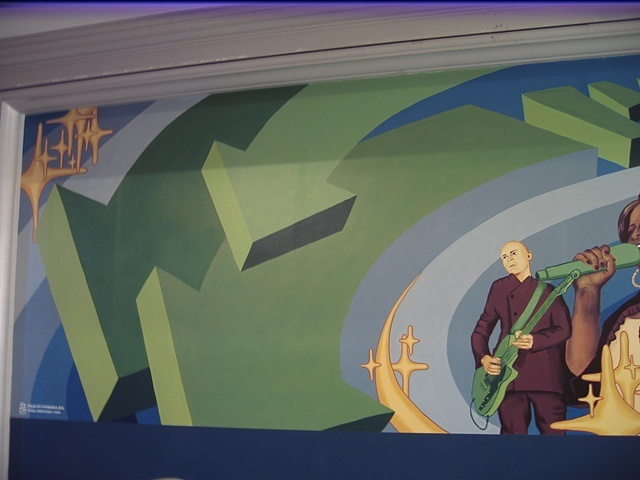 We chose a theme that honors some outstanding but maybe lesser-known heroes of contemporary Chicago music: Billy Corgan (Smashing Pumpkins), Jennifer Hudson, and DJ Mark Farina. 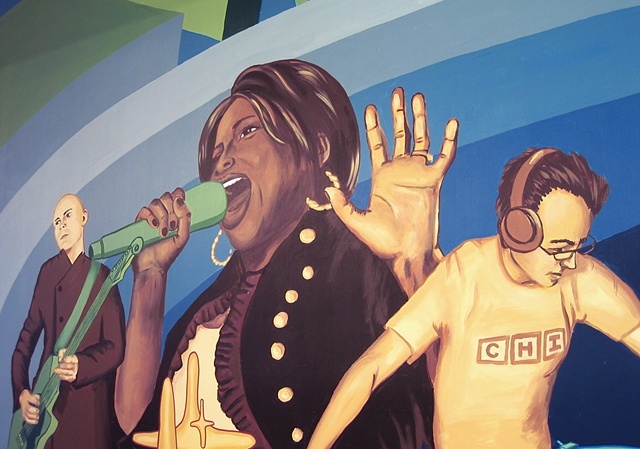 The mural is located at the building on Wabash and 11th Street.